Sometimes I just want to paint a heavily yellow nail design on my nails. That’s the driving force behind this mani, because with both of the prompts I’m covering today, I could have done anything. This is the first time I have purchased a yellow polish that isn’t basically a flat color or a jelly glitter. 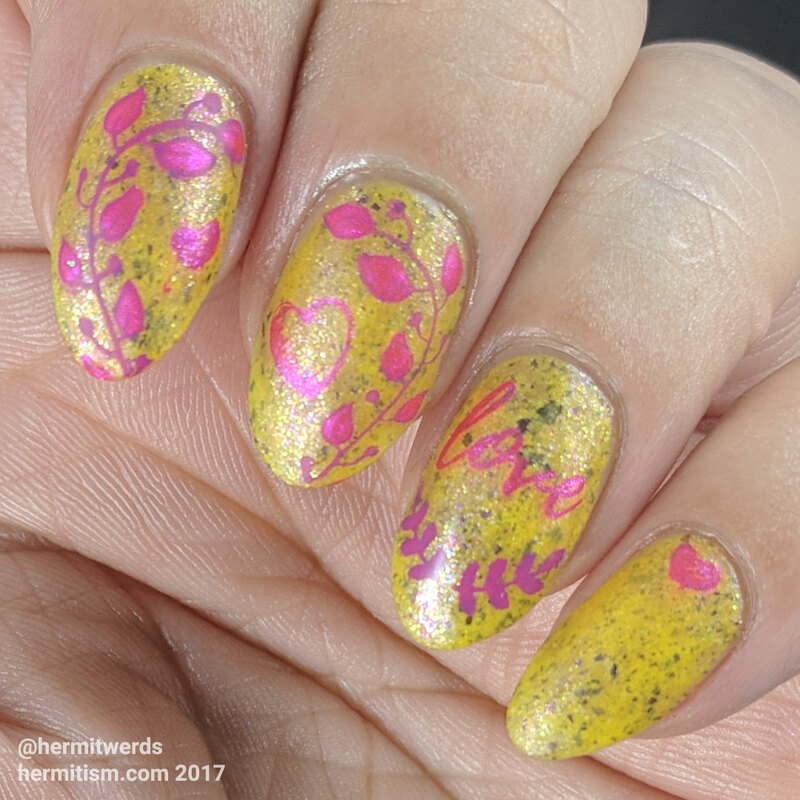 “Spring Bouquet” has so much going on that I find it interesting on its own, although that can kinda be bad when you like more complex nail designs because the base color is now competing with whatever you put on top of it. I’m not sure I did this polish justice with my stamping. I suspect round three would have been my best work, but that’s going to have to wait until I use it again. 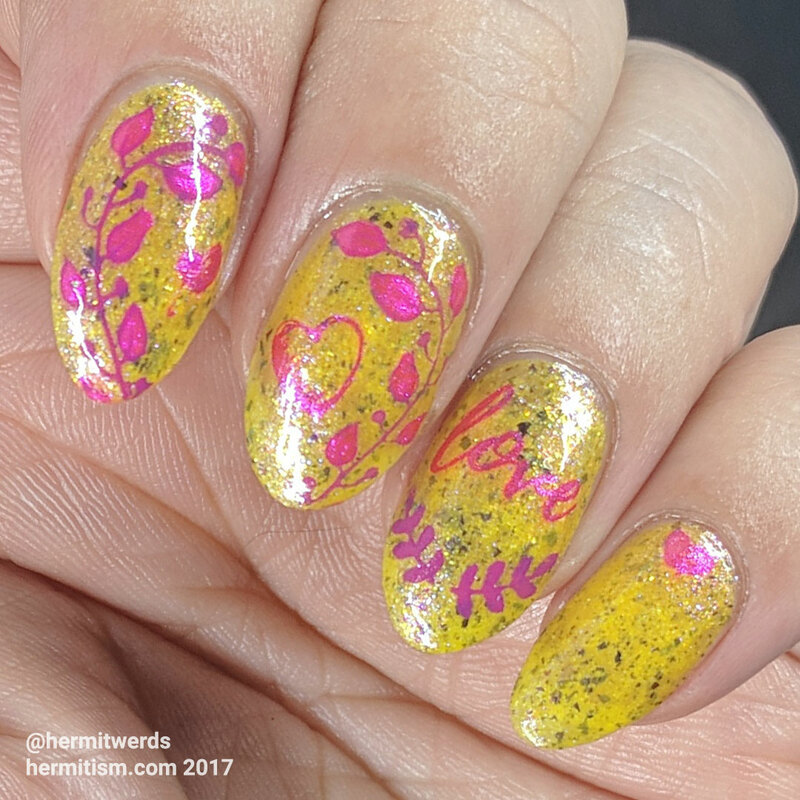 I had to paint this design twice because I utterly destroyed my nails before I photographed them when I plugged and then unplugged the kitchen sink. I’m just glad my husband was there to help out because it was my first time removing a pipe and then putting it back together. It kept leaking and I thought it was my fault so he looked at it and tried a few things and then we realized one of the seals had fallen off the end of the pipe into the bucket. Stupid seal. But, yay! I learned something! And now all the stuff under the sink is more organized so that’s a double bonus. I’m sorry. I should have taken a natural light swatch photo of Ms. Sparkle’s “Spring Bouquet”. It’s a final restock from spring 2017 and currently there are 8 bottles left. I’m afraid I didn’t do a good job capturing the color of the flakies because I took my photos under plain led light, but they are quite lovely in person. It’s a beautiful and complex polish. I might use it during the winter when I need a pick me up but it’s so coming out next spring. We are going to do great things together. Formula is excellent. 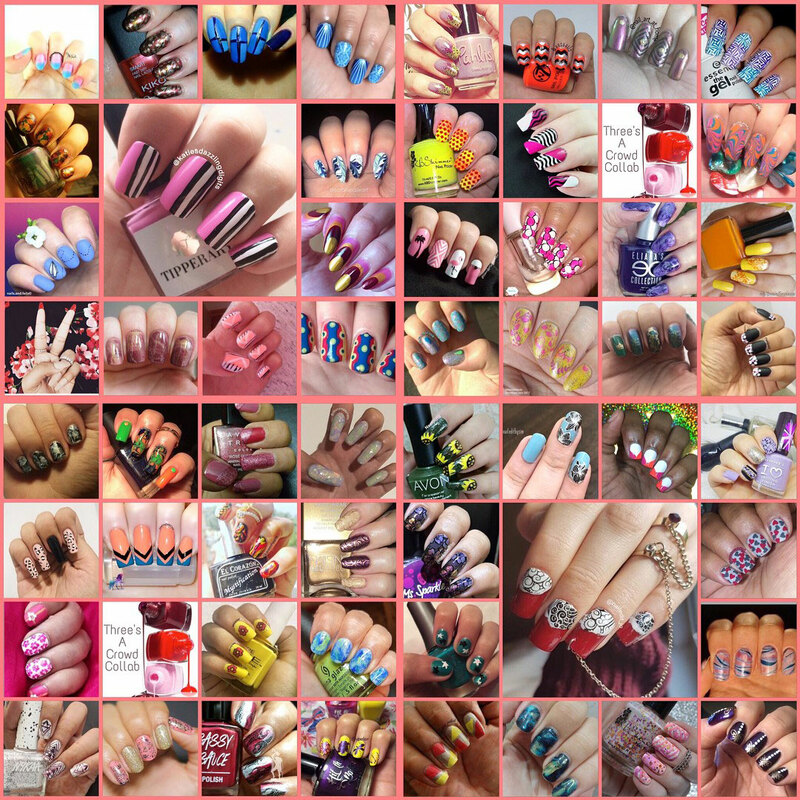 I had no trouble with dripping, fishing for flakies, fighting to get them distributed across my nail evenly or pooling in the cuticles. And it dries quickly. It did take three coats and I could still see my nail line a teeny bit. 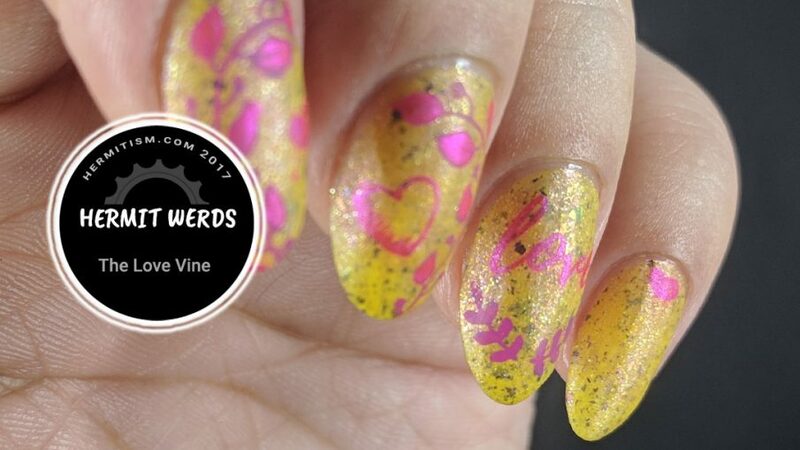 But this is a yellow flakie polish, asking for complete opacity is kinda crazy. I didn’t edit my photos to hide my nail line so, unless what you see bothers you, it should be fine.